MEMPHIS, TN (WMC) - U.S. Customs and Border Protection made a rare find in Memphis last week. Wednesday, an agricultural specialist found a caprine skull in a package sent from Djibouti. The skull was encrusted in salt and inside a package marked as gift salt. 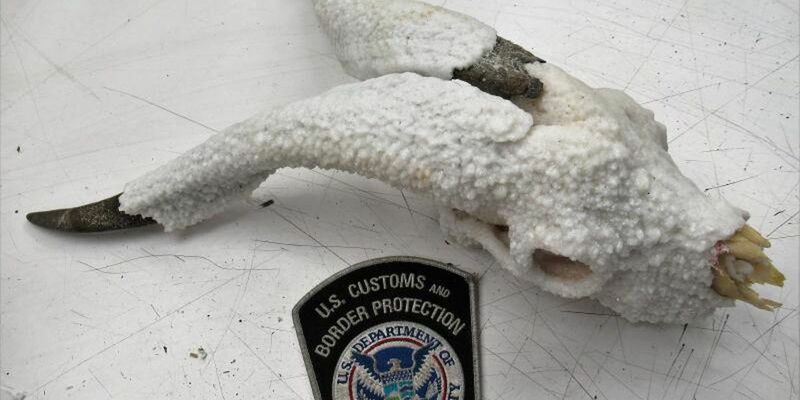 Customs was able to see horns and tissue visible under the salt crust and confiscated the skull. Caprines, also known as goat-antelopes, in Djibouti are known to be affected with Foot and Mouth Disease, spread by contact with other animals. According to USDA, the disease was eradicated in the United States in 1929. The skull was destroyed using steam sterilization because of the risk of potential disease.